Zoot Diego Reviewed - To Buy or Not in Apr 2019? Zoot originated in Hawaii, a place known for its grueling Ironman endurance competitions and for more than 30 years Zoot has been making equipment such as clothing and shoes for these amazing athletes. As Ironman competitions include not only a swim 3.8km, a bike ride 180km but also run an entire marathon in a single day of competition, these athletes need some serious gear, especially in the heat and humidity of Hawaii. 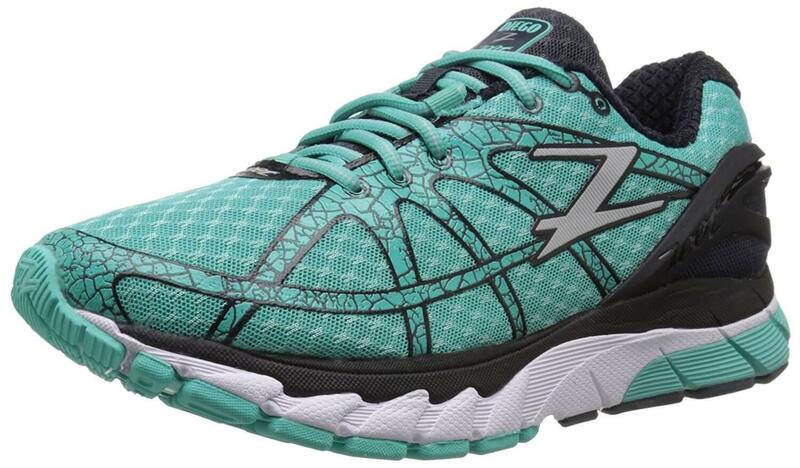 The Zoot is a highly cushioned running shoe, built to get athletes through their long runs and competition and across the finish line on race day. Highly cushioned but responsive, this shoe does great in balancing the two. The Zoot Diego outsole is built for durable road use with a high traction carbon rubber outsole. This outsole gives good grip in wet conditions and on a variety of road surfaces. The outsole is also great at standing up to long-term use on the roads. The tread on the outsole design follows the natural arc of the foot so you can have traction and flexibility where you need it most. It also features an independent heel crash pad, good for putting a little extra cushioning in this high impact area that is prone to overuse injuries. The midsole is made up of injected EVA material, but in this case, Zoot has renamed it ZVA. This shoe also includes Zoot’s Z-bound, which is great for providing energy rebound. The injected EVA is also great for providing lightweight responsive cushioning because it is injected into the shoe and expands to fit a mold. This combination is great for increasing the energy rebound of the shoe so that runners can go longer and faster without as much effort. The midsole is also designed with Progressive Forward Roll Technology that gets runners quickly off their midfoot and on to their toes for a strong toe-off. This midsole is packed with lightweight responsive cushioning, great for athletes looking for a shoe that will support their natural stride in those last challenging miles in an endurance competition. This shoe offers a great breathable upper that really wraps around the midfoot to keep it locked in. It is highly breathable, great for those hot humid climates. There is also a sock-like lining that covers the inside of the shoe, which is seamless, this adds to the overall comfort of the shoe and makes for a fit without any hot spots or pressure points. The inner lining is also soft making for a great next to foot feeling. The shoe also has a molded heel counter which helps to lock the foot in place and is great for providing security on your long runs. A traditional lacing system locks the foot down around the midfoot and a plush tongue prevents any pressure points, this lacing system is great for providing even pressure throughout the top of the foot. This is a bit of heavy shoe, weighing in at 12.8 oz for men and 10.8 oz for women. There is a ton of technology and thanks to the Progressive Forward Roll technology it makes for a fast transition from a midfoot landing to a strong toe-off which makes the shoe feel lighter than it is. Zoot claims this is a good shoe for finishing an Ironman in, but it depends on how competitive you want to be and how much of a difference this type of weight will make to your overall stride. Overall, this is a durable shoe, perhaps best reserved for your long training runs or recovery days. Zoot has done a great job at providing a lot of breathability in this shoe. The mesh upper is good at letting air pass throughout the shoe, great for hot and humid climates. The inner lining is thin but great at providing a secure feeling wrapping around the foot while still allowing air in. As most Ironman competitions are held close to the ocean in hotter climates, this is a perfect summer running shoe. Zoot claims the combination of ZVA and Z-bound technology make for a lightweight, plushly cushioned responsive shoe and while the shoe is highly cushioned, some testers expected a little extra cushion and not such a responsive feeling. This is great for anyone needing impact protection and protection from overuse injuries while still wanting a nice responsive feeling. The inner lining is great at keeping the foot comfortable and dry, thanks to its good breathability. The heel counter is great at keeping the foot locked in. While some complained that they expected this shoe to have a more plush feeling, I think it’s perfect for long training runs. This is a bulky shoe, maximalist style shoe with a lot of cushioning and protection. There are 4 color variations for men and 3 for women, which makes for a good assortment no matter what your running style is. I personally like the darker blue variation best in both the men and the women’s version. This is not a shoe for runners who like the low to the ground look of racing shoes, it is a big shoe more suited for endurance athletes who need cushioning. There are lots of high-quality technology that went into building this shoe. The ZVA and Z bound in the midsole are great for providing a cushioned ride, even after extended use. The outsole is especially durable with its high traction outsole and carbon rubber, it is designed to go the distance. The upper, built of mesh and synthetics shoe little to no wear, even after extended use. The biggest form of protection this shoe has is its impact protection. There is the independent heel crash pad which is great for warding off impact related injuries and substantial cushioning throughout, just what runners need when fatigue starts to set in. The upper and lacing system also does a great job of locking the foot onto the outsole to provide a nice secure fit throughout. The mesh upper is highly breathable and quick drying, great for keeping your feet dry and comfortable and warding off blisters. The inner lining is seamless which is great for avoiding spots prone to rubbing due to having ridges in the material. There is a ton of cushion in this shoe but Zoot made use of the injected EVA technology and it is more responsive than other types of EVA material. This shoe also has Z-bound which helps with energy rebound. This is a responsive yet highly cushioned shoe and despite its substantial stack height, runners have said that it’s even more responsive than it is cushioned. 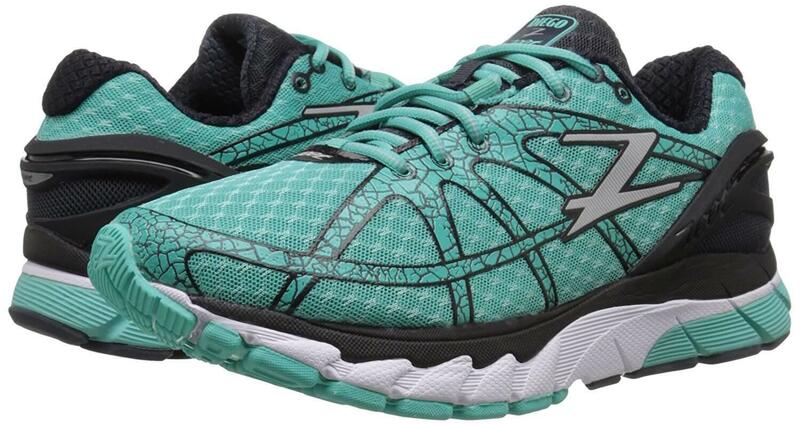 This is a neutral support shoe so ideally for runners with medium foot strength and a fairly good stride. As a neutral shoe, it allows the foot some freedom and the runner also has some freedom in their stride. The shoe is great for locking down the foot and giving you a nice secure feeling throughout the foot. There is an independent landing pad in the heel, good for runners who need that little extra support and cushioning and the Progressive Forward Roll technology is really good for supporting runners through their transition from midfoot to toe-off, making it quick and effortless. This shoe is built for the road and endurance running on hard surfaces. The traction grip on the outsole gives it runners the ability to have a strong toe off on wet road surfaces. But the best feature is the hard unforgiving road terrain is the amount of impact protection features this shoe has, great for runs where you are going to be on your feet for extended periods and possibly suffering from lots of fatigue, great impact protection for long runs on the hard ground. This shoe was originally priced at 159 USD which is a moderately high price but you can now find it on sale for as little as 40 USD on Amazon or other sites. At this new lowered price, this is a steal! This is a shoe with tons of high-quality technologies that will easily stand up to all your endurance endeavors. This is a great shoe for long distance training or racing, get a lot of comfortable miles out of this shoe for an exceptional price! High traction, carbon rubber makes up this outsole and it is great for providing traction on hard road surfaces, even in wet conditions. A strong toe off is essential for good speed at any distance and the high traction rubber on this outsole grips pavement well. The outsole design follows the natural curve of your foot giving you traction all along the bottom, good for a grippy ride. At a stack height of 24mm, this dictates that this will not be an extremely flexible shoe, but that makes it great for endurance runs where athletes are feeling total fatigue and need a shoe that doesn’t require a ton of foot strength. The grooves in the outsole do flex a little, but as a whole, this is a more of a supportive shoe than a flexible one. The Zoot Diego has a 24mm stack height and gives runners a feeling like they are a little high off the ground but the way the lacing system really locks your foot in is great at providing a nice stable feeling throughout the shoe. The Progressive Forward Roll makes for a quick, smooth transition to your forefoot, which also enhances the stable feeling of the shoe. This features a 4mm offset from heel to toe, which is just enough room to get that independent heel crash pad under the foot for extra protection, but it’s not a huge offset comparably. The 4mm offset is good at providing a neutral feeling, great for freedom throughout the stride while still encouraging runners to roll forward on to their toes for a solid lift off. This is great for adding speed and the design of the shoe means that you aren’t dragging your heels in the least. •	Progressive Forward Roll technology is good at getting runners through a smooth transition and on to their toes for a solid toe-off . This shoe is built for endurance athletes and on sale, it is offered at a great price. The cushion is firm, responsive and lightweight. There are a ton of durable features that went into building this shoe and Zoot has done a remarkable job. While this is a heavier shoe, it is still great for long distance events and because of its design, it doesn’t feel heavy on foot. I would recommend this to anyone looking for a training shoe or something for an ultra race road event.